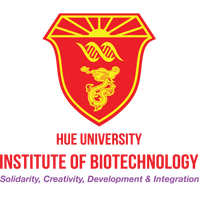 Hue University has recently decided to allow the Institute of Biotechnology, Hue University (HUIB) opens Doctoral program in Biology. This program is Bilingual which will be provided in Vietnamese and English that are suitable for Vietnamese and international candidates. Prof. Truong Thi Hong Hai, Director of HUIB said that this training program is implemented in both Vietnamese and English, allowing international candidates to study. With advanced training programs, the candidates must meet the required conditions; in addition, domestic candidates must have a University degree or a Master degree issued by a foreign training institution or Bachelor degree in foreign languages granted by Vietnamese institutions; have one of the international English certificates such as TOEFL iBT Certificate at level 45 or above or an IELTS score of 5.0 and above with no more than two years old. “This is one of the strictest conditions but ensure the quality of the input to meet the target by 2025, the Institute must achieve the equivalent level of ASEAN” Prof. Truong Thi Hong Hai emphasized. In order to ensure the quality of the training program, candidates must also satisfy the condition that being the author of 01 article or report related to the field of study intended to be published in scientific journals or proceedings of scientific seminars or conferences in the field of scientific research for a period of 03 years (36 months) up to the date of application. The training program is implemented in both full-time training and part-time training. In particular, the full-time training program is fully provided in 3 years for candidates holding Master Degree and 5 years for whom holding University Degree. The part-time training program is provided in 4 years for candidates holding Master Degree and 6 years for whom holding University Degree. 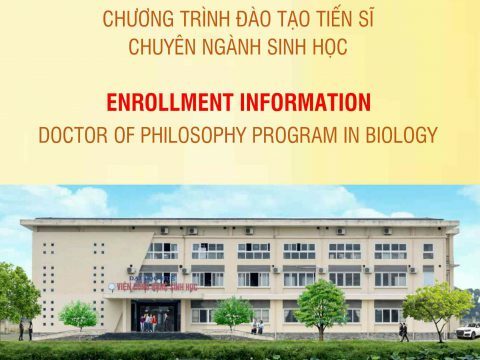 In this case, the candidates must have an application and work plan at the HUIB, approved by Supervisor, Director of the HUIB and the President of Hue University before the decision to recognize PhD students. Representatives of the HUIB said that Doctoral dual-language program is not easy. 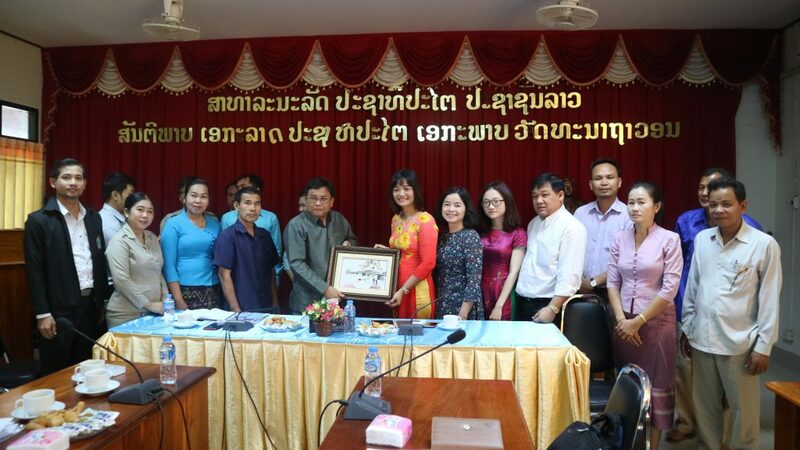 Before the program being accepted, Hue University has only a Doctoral program in Animal husbandry at the University of Agriculture and Forestry in English. The Institute’s leaders said “The Institute has spent more than a year to research, develop the program and undergo many evaluation steps in accordance with the regulations of the Ministry of Education and Training, especially the regulations on facilities and professional staffs”. 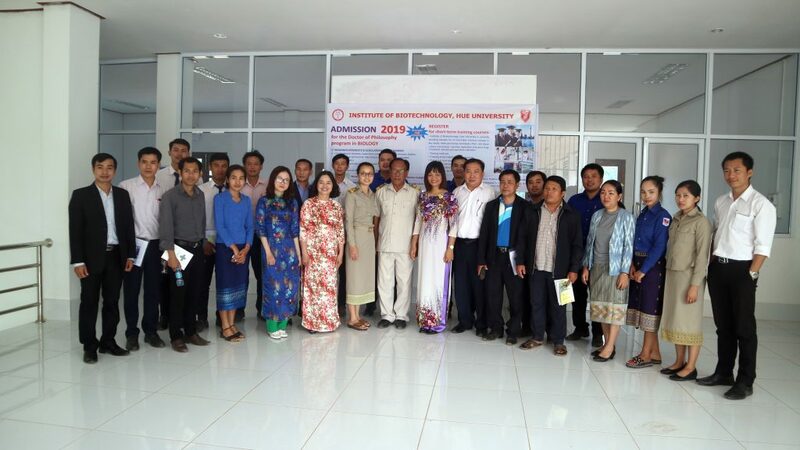 Immediately after the Hue University announced the admission of PhD students in 2018 (supplemented) on November 1st 2018, HUIB has conducted the promotion for enrollment in organizations from localities in the country and prepared Promoting enrollment in Laos and other countries in the region. 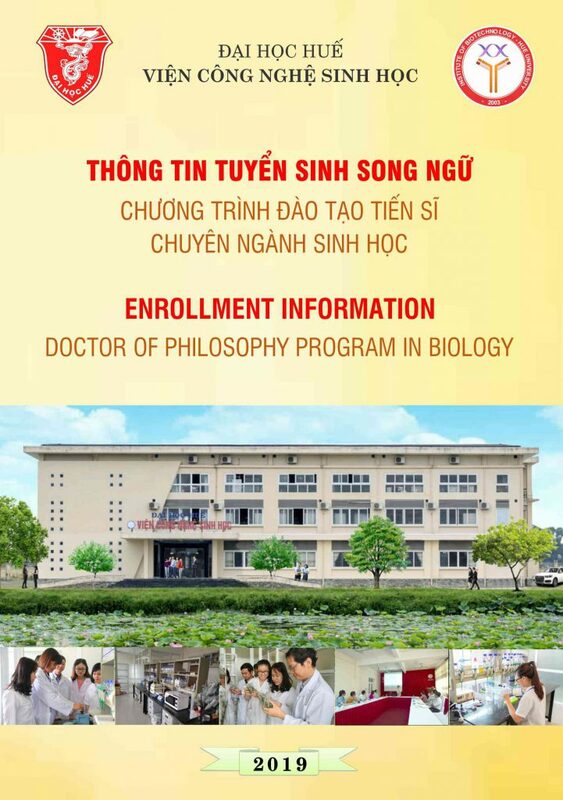 The admission officer at the Institute said that currently, there are many institutions which provide specialized training such as: biology, experimental biology, biotechnology, zoology, botany, ecology, genetics… In Hue and Central Highlands areas, there are many institutions that can coordinate to promote enrollment. The Institute has sent enrollment notices as well as taken advantage of advertised online to refer candidates. 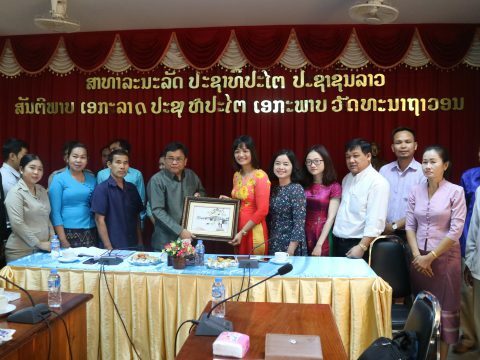 In other countries in the region, the Institute is developing a plan, preparation of advertising campaign in December 2018, opening in Laos then will be expanded to Myanmar and Cambodia – which areas also need to learn these subjects in English. To attract candidates, the policy of the Institute is support up to 100 percent of funding for research activities if the thesis topics relate with the research themes of the subjects or projects being implemented in the Institute. In addition, the Institute will support 1 million VND per month for each PhD student; Supervisors will support 50% of tuition fees if PhD students work full-time in their topic/project. Institute also will support international students for accommodation. After completing the training, Institute will provide employment opportunities if the candidates meet the requirement conditions. 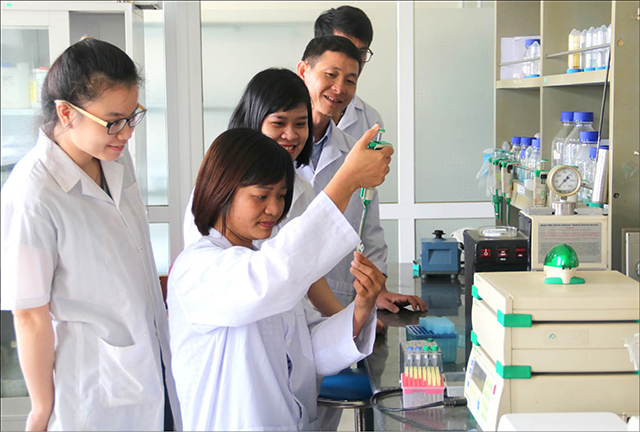 “The Institute is being invested and developed based on the project of developing the Institute of Biotechnology, Hue University to a National Center for Biotechnology in the Central Vietnam that has been approved by the Prime Minister. It is expected that by 2025, the Institute will have 150-200 professional staffs, so the candidate would have more job opportunities”, Prof. Hai said. According to the representative of Hue University, the Institute is currently carrying out many topics at all levels, which can assist PhD students to participate in the research group. This is an advantage for students to enroll and also information that HUIB promotes to candidates.